Uniforms make a difference. Here at QCT we get that. We understand you want to look good and make a great impression with your customers. 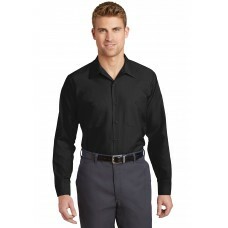 We also understand people want to be comfortable and have sturdy work apparel. Our uniform program is here to help you. Great pricing, fast availability and great names! All of our uniform program items are sold blank. For help with any needed decoration, please feel free to reach out to QCT! Red Kap puts the tou..